In one of my earliest blogs, I mentioned learning something at the very first book talk I ever gave. That began a trend as it is not unusual for an attendee to inform me about something I didn’t know. At a recent talk at a nearby retirement home, a resident asked me about Emerson Metoxen. About all I knew about him was his name because he attended Carlisle Indian School in its latter days after athletics were deemphasized. So, I was of little help to the woman who asked if I knew anything about the man she called “Uncle Chief.” I thought little further about the conversation as I am behind schedule on several projects until I received a letter in the mail. That letter contained two old newspaper articles about Emerson Metoxen, one of which was written after he was inducted into the Lebanon Valley College Hall of Fame and the other after he died in 1989. Also included was what appears to be a flyer that tells about Metoxen’s activities at Valley Forge summer camps after his retirement as an educator. All three pieces contain biographical information about him. 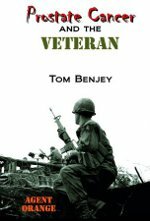 His achievements after leaving Carlisle were many and his life story deserves documenting. But where to document his well-lived life is the question. He had the misfortune of being too young to star on the great Carlisle teams as he was just getting playing time as a substitute when WWI brought football at Carlisle to an end. So, he doesn’t fit well into Wisconsin’s Carlisle Indian School Immortals. 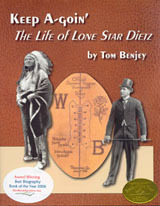 However, he was an Oneida and several Oneidas’ life stories are included in that book. Perhaps a smaller (and less expensive to buy) book focused on Oneida football players would provide an appropriate place to tell his story. I’d like to hear (read) your thoughts on that idea. Researching John Russeau’s adult life in Rice Lake should be much easier than finding the details of what he did before WWI. As to his military service, one would expect that the Canadian Army would have records on its WWI units and soldiers as does its U.S. counterpart. That John Russeau wasn’t a star football player at Carlisle Indian School doesn’t diminish what he did later in Rice Lake. The people who named a field after him and voted him into the Rice Lake Hall of Fame knew him and are well aware of his contributions to the town. “Indian John” earned these honors with his dedication and hard work. I would recommend to his many descendants that they get together to look at all the artifacts John left behind. They should also commit to paper all the stories he told them and any other things they have heard about him. Different people could take on specific tasks. For example, one person could research his exploits as a boxer who fought under the moniker “Black Jack.” That project should yield some interesting stories in itself. Someone else could investigate his time at Hayward Indian School. Another could look into his time at Reserve. Another could research John’s ancestors. Still another could pour over the Chronotype, day by day, from about 1900 forward. That job might need to be broken up by decades or something so more than one person can work on it. From experience I can say with certainty that it will be tedious. After finishing the Chronotype, other local papers could be considered. John Russeau led a long, full life and had a positive influence on his community. His life story deserves to be recorded, not just for his family but for the community at large. Doing this would be a greater honor for him than any that have been previously bestowed. Much research of John Russeau’s life remains to be done. Fortunately for his family, much of that work can be done near to or in his home area. He told Carlisle Indian School officials he played tackle on the Haywood Indian School football team. It is believed that he also played for that team in a game against Rice Lake when he was home recuperating from football injuries received at Carlisle. Perhaps the Chronotype and Hayward Indian School publications covered those games. What John did during the period after he left Carlisle and before he joined the Canadian Army is essentially unknown. In the fall of 1913, he wrote his old friends from Superior, Wisconsin to wish them well in the upcoming football season. Some years later, he testified in the Cameron Dam matter that he was in Salt Lake City, Utah part of the year. What he did the rest of the time is anyone’s guess at this point. At some point, Russeau joined the Canadian Army and served in England. Whether he went to the front is not known. What is known so far is that, in late 1918, he met Lillian Furner in London. She was leaving a theater and he was coming in—at least until he saw her. Lillian later said, “And then he didn’t go in at all!” They were married six months later, on April 3, 1919. About six months later, they embarked for Canada, probably because he was still in the Canadian Army. After landing in Nova Scotia, they made their way to Montreal where they caught a slow train to Reserve, Wisconsin. They left the reservation in the spring to live their lives in Rice Lake from then on. 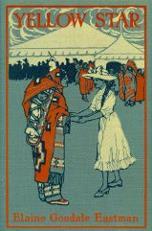 The highlight of her time on the reservation was being guest of honor at a chivari. Reviews of the programs for the athletic banquets for years 1908-10 (Carlisle’s athletic banquets covered calendar years not school years) found no mention of John Russeau (in any of the various spellings). That means that he didn’t get enough playing time in any of the varsity sports to letter at Carlisle. That he appeared in the 1908 team photo shows that he was on the team, probably as one of the scrubs. 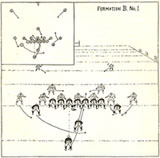 That he was assigned the task of coaching the Painters implies that Pop Warner thought he understood the game well enough to teach younger players how to play the game. Unfortunately, he is also credited with some things that he most likely didn’t do. 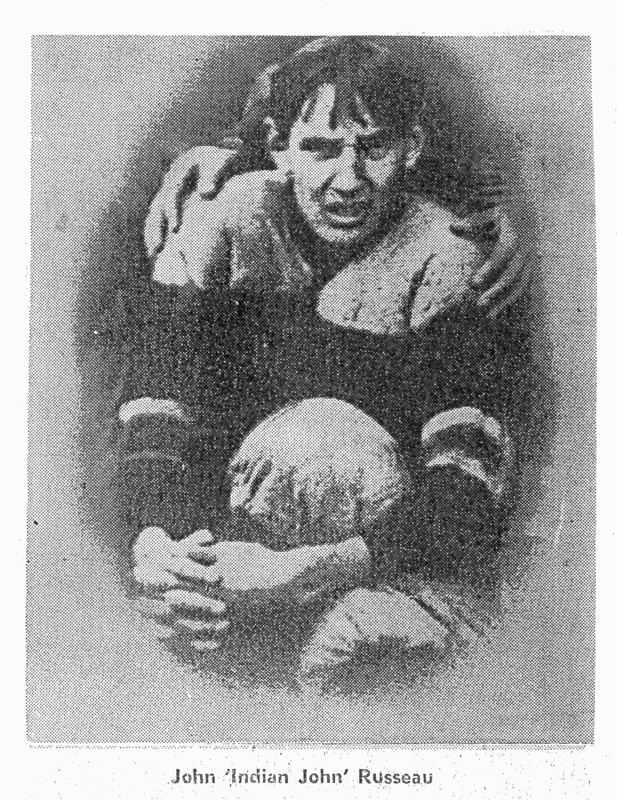 For example, his Rice Lake Hall of Fame biography includes this statement: “John played at tackle and end on both sides of the line and scored two touchdowns, one on a 20 yard pass reception against Baltimore College in 1906 and the other on a fumble recovery in the end zone against Carlisle Prep College.” The Carlisle varsity never played a Baltimore College. However, Baltimore City College was playing high school teams around that time and may have played Carlisle’s Second Team (sometimes called “The Hustlers”). 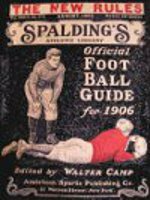 There was no school called Carlisle Prep College but Dickinson College did have a preparatory school, (called Conway Hall from 1905 to 1917) that Carlisle’s varsity annihilated in 1908 53-0 when the season opener with Albright College fell through because they didn’t field a team that year. It’s quite possible that John Russeau recovered a fumble in the end zone against them because everyone got to play in blowouts like that one. He may have gotten into the game with Mt. St. Mary’s if it had materialized. The Second Team was to play home games against the Swatara team of Steelton on October 10 and Conway Hall on Thanksgiving. They were also to play road games in Washington and Baltimore. The Third Team (also called “The Hustlers”) also had a schedule of games against athletic clubs, college reserves and prep schools. John probably played in several of these games, one of which was played in Baltimore against Walbrook Athletic Club. This punting contest played in a snowstorm which made it unlikely that Russeau caught a pass in that game. He probably played in several second and/or third team games and may have scored in some of them. But there is no evidence found of him playing in a varsity game. A 1951 Rice Lake Chronotype article about john Russeau stated that he had been at Carlisle Indian School from 1906 to 1910. The Carlisle Arrow article about him coaching the Painters football team in 1909 seems to support that he was involved in the football program and that he was at Carlisle in the 1909-10 school year. Further research is needed to learn more about his time there. The 1951 article also included some of Russeau’s observations of Pop Warner that, to my knowledge, haven’t been reported elsewhere but are consistent with what is known about “The Old Fox” including what he has written about himself. While this might seem far-fetched, it is quite possible because horses could still be found in the stables on Carlisle Barracks. The Model T Ford was not put into production until 1908 and few could afford automobiles before that. Cavalry officer Major William A. Mercer was superintendent of Carlisle Indian School part of the time Russeau was there and kept his horse on campus. Mercer’s successor, Moses Friedman, also had horses—or at least his wife did. The Carlisle Arrow of May 28, 1909 reported that Mrs. Friedman’s horse fell on her and broke her thigh bone. Also, horse were used on the school’s farms and were likely readily available for Warner’s use. It is quite possible that Mercer or Friedman welcomed Warner’s riding as exercise for their horses. 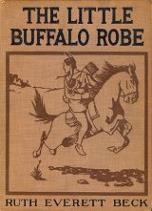 The school newspaper items establish that John Russeau (Russian) was indeed at Carlisle Indian School in 1909. Perusing the index of Carlisle Indian School student records uncovered a file for John Roussian, Chippewa from Wisconsin. This could be our man. However, it will be necessary to go to the National Archives in Washington, DC to see it or wait for the Archives to make a copy of the file and send it to me. Contents of student files vary widely, so exactly what I will find is unclear. Frequently, one finds student cards for each three or five-year enrollment (students often re-enrolled for further schooling), that include information such as arrival and departure dates, a parent’s name, whether parents are alive or dead, and the places the student went on outings. Such information would be helpful in this case. Louie Foss of Rice Lake sent me copies of old Rice Lake Chronotype articles about John Russeau that were accompanied by photographs. I showed the articles to Richard Tritt, photoarchivist at Cumberland County Historical Society. He had recently looked at a couple of team photos from The Philadelphia Press, one of which was of the entire team not just the starters and most-often-used substitutes. On the left end of the front row was a person named Russian. One of the photos in a Chronotype article was the same person cropped from the team photo and blown up a bit. This shows that John Russian of Carlisle and John Russeau were one and the same person. Richard noticed that the lettermen generally wore different jerseys than did the players who didn’t usually get into varsity games. The new jerseys worn by the starters that year did not have the quilted padding on the shoulders as did the older ones. Russian’s jersey had the padded shoulders which implied that he didn’t get much playing time with the varsity. He may have played a lot in the second team’s games but records for them are sketchy.